Field Day Archive is a guide to the letters, minutes, photographs, scripts, programmes, reels of film, audio recordings and other items that comprise the files of the well-known theatre and publishing company. Field Day Archive is published by Field Day in association with the Keough-Naughton Institute for Irish Studies at the University of Notre Dame. Brian Friel and Stephen Rea established Field Day as a theatre company in 1980. Beginning with Friel’s Translations (1980), the company produced and toured over a dozen plays, including world premières of Friel’s The Communication Cord (1982) and Making History (1988), Derek Mahon’s High Time (1984), Paulin’s The Riot Act (1984), Thomas Kilroy’s Double Cross (1986), Stewart Parker’s Pentecost (1987), Terry Eagleton’s Saint Oscar (1989) and Heaney’s The Cure at Troy (1990). 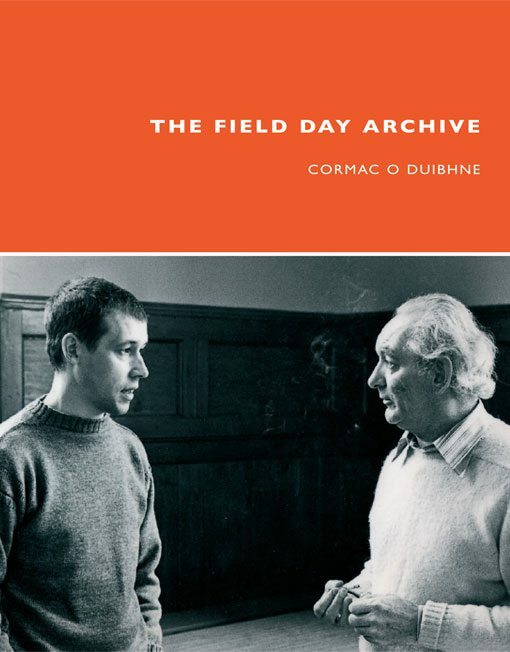 The Field Day Archive is a valuable resource for anybody interested in Irish political and literary culture since the company’s formation in 1980. It contains correspondence of the company founders Brian Friel and Stephen Rea and minutes of the meetings of the Board of Directors, which included Seamus Deane, Davy Hammond, Seamus Heaney, Thomas Kilroy and Tom Paulin.